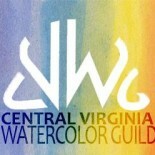 Virginia Watercolor Society’s next annual juried exhibit will be held in Lynchburg, May-June 2014. That’s practically in our backyard! Chee Ricketts writes “I am the area rep for the VWS in Central Virginia and, as such, am supposed to be able to answer questions about VWS. At least, if I don’t know the answer, I will track down a response from someone who does”. This entry was posted on Nov 20, 2013 by miatomaine in Local Events, Shows.